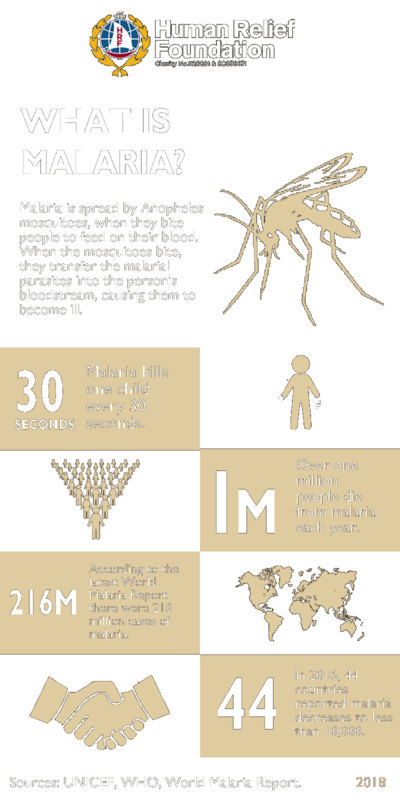 Malaria is spread by Anopheles mosquitoes. When the mosquitoes bite, they transfer the malarial parasites into the person's bloodstream, causing them to become ill. It is treatable, but the severe form of the disease can progress at a terrifying speed and can kill a person within hours or days. 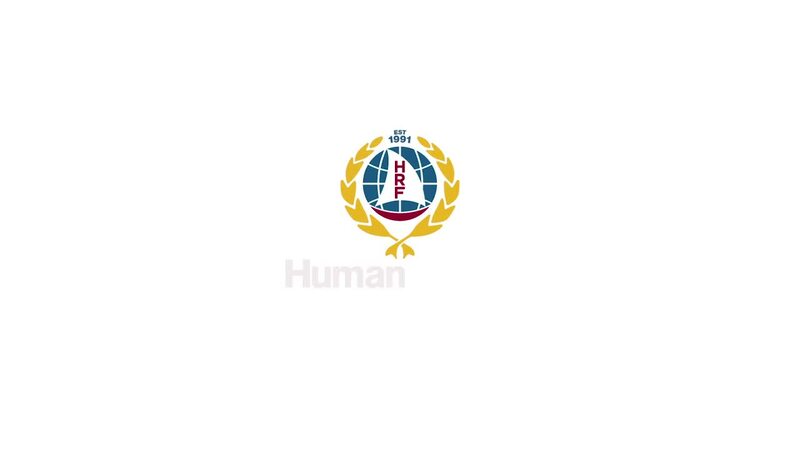 Human Relief Foundation (HRF) has been relieving human suffering and saving lives in some of the poorest regions of the world. In its 27 years of serving humanity, HRF and its strategically placed teams around the globe have been able to respond quickly to crisis and work to alleviate the suffering of those most in need. This has all been thanks to your donations. To fight malaria, and to treat those who have been exposed to its risk, HRF has worked in numerous countries to prevent severe illness and death. In 2015, devastating floods washed away livelihoods in Pakistan. The floods had brought an increase in the spread of infectious diseases, one of the most common medical problems related to malaria. HRF Pakistan was able to reach over 12,000 beneficiaries through its humanitarian assistance program that provided health services, food security, social protection and WASH services. HRF is also working to tackle malaria in Bangladesh, which has been listed as a public health issue. It is particularly problematic in the Chittagong Districts and Cox Bazaar, where persecuted Rohingya refugees who have fled from Myanmar are residing and seeking shelter. As part of its Emergency Response efforts, HRF has distributed insecticide-treated nets to Rohingya refugees living in Kutupalong Camp 3, Cox’s Bazaar District, to help prevent malaria transmission. In the same camp, HRF also run a medical facility for Rohingyan refugees, where they can receive treatment for a range of ailments, including malaria. SUPPORT OUR HEALTH PROGRAMMES - CLICK HERE. #WorldMalariaDay with Human Relief Foundation.